Bozeman's Western Heritage Inn is a AAA rated property within walking distance (approximately 10 minutes) to historic downtown Bozeman. We offer an indoor hot tub, steam room, guest laundry, high speed wireless Internet and fitness equipment. A hot breakfast buffet is served each morning. Our rooms have either queen or king size beds and flat screen TVs with cable and HBO. All single rooms have a recliner. Family suites are available. Rooms are also furnished with coffee makers, refrigerators and microwaves. 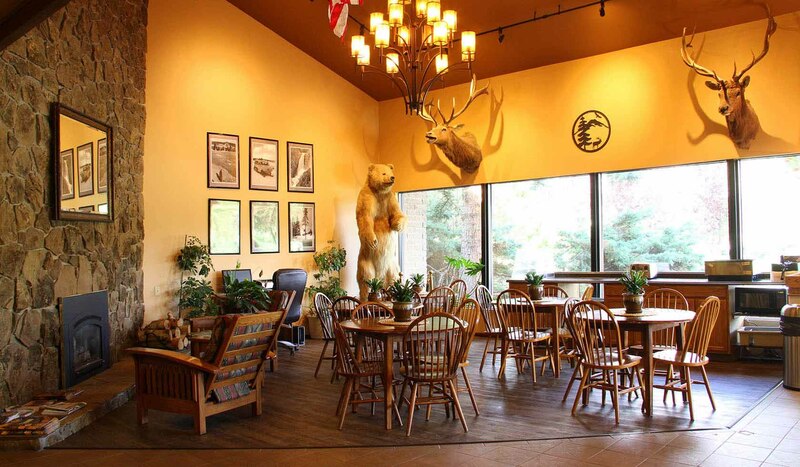 Bozeman's Western Heritage Inn is a 100 per cent non-smoking facility. Yellowstone National Park is just 90 miles from Bozeman's Western Heritage Inn while downhill and cross-country skiing is nearby at Big Sky, Montana or Bridger Bowl ski and recreation areas. Blue ribbon trout fishing is within 30 minutes of the hotel on the Gallatin, Madison or Jefferson rivers. The Missouri River headwaters are 30 miles west of Bozeman while the Yellowstone River is just 30 miles east.